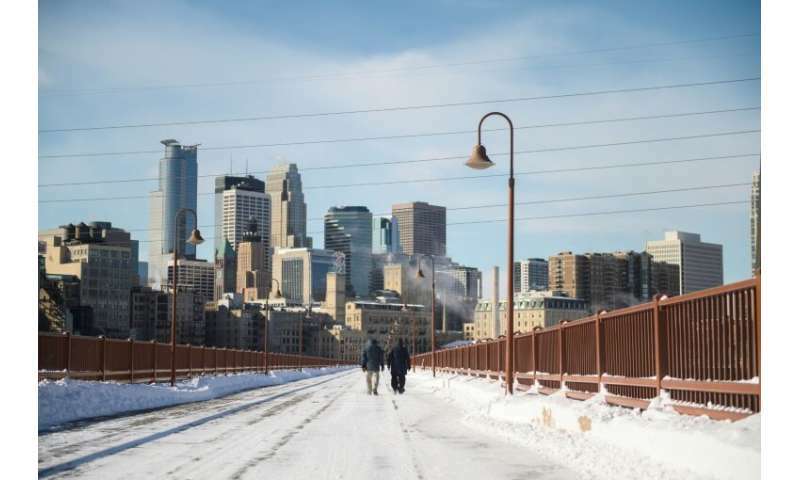 Frostbite warnings were issued for parts of the American Midwest on Wednesday as temperatures colder than Antarctica grounded flights, forced schools and businesses to close and disrupted life for tens of millions. 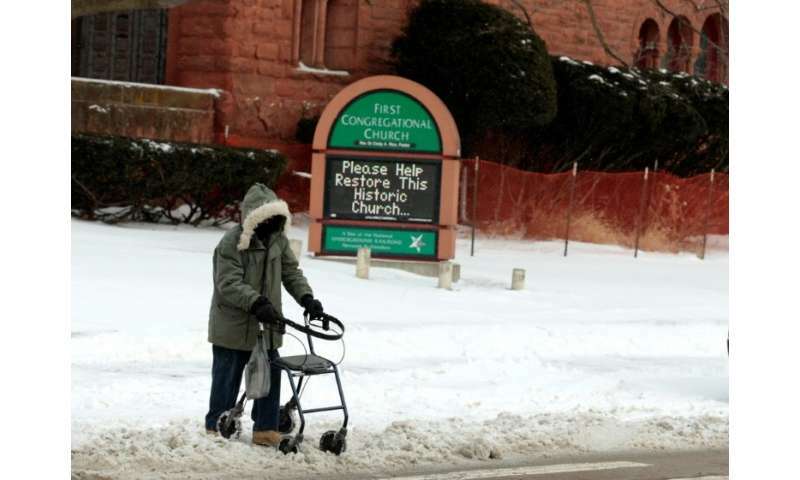 Mail deliveries were suspended and residents encouraged to stay home in nearly a dozen US states where temperatures overnight plunged into the negative double digits, the worst freeze to grip the region in a generation with all-time records still under threat. Chicago residents awoke to blocks of ice floating on the downtown river of America's third-largest city and flames from gas burners heating regional commuter rail lines to keep them functioning. The morning temperature in the Windy City was -22 degrees Fahrenheit (-30 Celsius), which felt like -50 degrees (-46 Celsius) with wind chill. It was colder than Alaska's state capital and even colder than parts of Antarctica. More than 1,500 flights were canceled at Chicago's two major airports while rail operator Amtrak scrapped train services from its hub in the city. 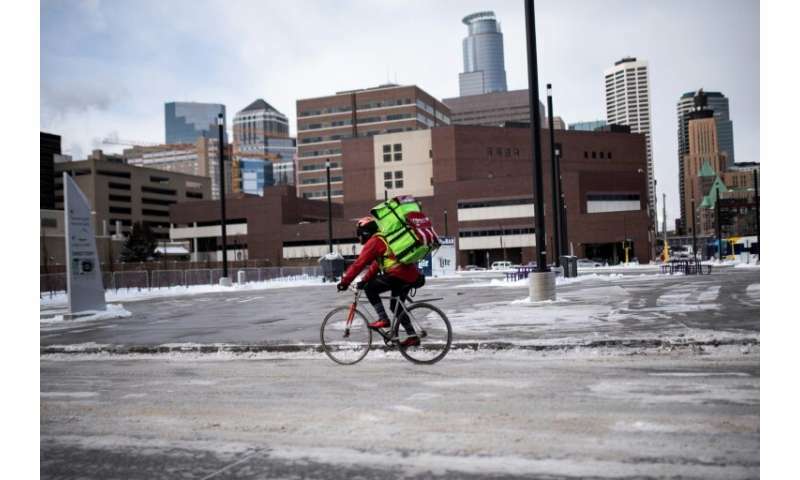 The US Postal Service—known for its commitment to bringing the mail whatever the weather—suspended deliveries in parts of Indiana, Michigan, Illinois, Ohio, Iowa, the Dakotas and Nebraska. "There's cold, and then there's COLD!" the National Weather Service (NWS) said. "Extreme and dangerous COLD!" "A record arctic air mass will remain over the central and eastern US over the next several days," the NWS said. "Wind chill values of 30 to 60 degrees below zero will be common across the northern Plains, Great Lakes, and upper Midwest," it said. "If you can't stay cozy inside, be sure to cover any exposed skin." 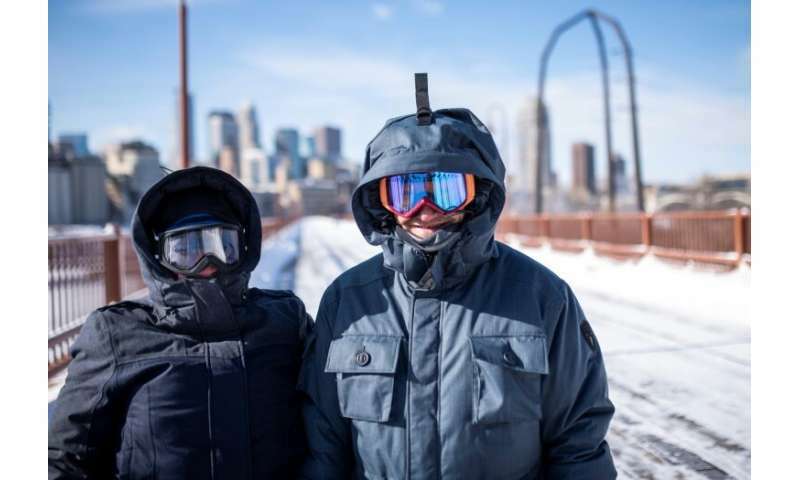 Residents in Grand Forks, North Dakota, faced a bone-chilling -35 degrees Fahrenheit, with wind chill temperatures as low as -63, and it was -27 degrees in Minneapolis, Minnesota. "We need everyone to do your part and make sure you and your families are prepared," said Illinois Governor J.B. Pritzker. "There is a real risk of hypothermia and frostbite." "We're adding extra beds at shelters," Chicago Mayor Rahm Emanuel told a news conference Tuesday. "No one in need of a safe or warm place to stay will be turned away." Chicago's regional electric train service was canceled due to wire problems caused by freezing temperatures, as gas burners heated rail switches to keep trains moving on a reduced schedule. Remnants of a weekend snowstorm continued to plague portions of the northeast—with strong winds and blowing snow threatening whiteout conditions and reducing visibility. Clearly a precursor of Snowball earth. Of course, climate change deniers are pointing at these temps as evidence of global warming being a fraud. Maybe they should check in with Australia and see the record high temps of up to 121 F. Even in the northern hemisphere, when one area is experiencing extreme cold, another is experiencing unusual warmth. These things have a way of balancing out. (Haven't checked to see who the lucky winner is this week.) Meanwhile the average global temperature continues to climb. denierbots are coded to repeat whatever propaganda fits their puppet-master's agenda. As Artificial Stupids they have never been in a kitchen or seen a refrigerator. These denierbots can't even ask the right questions. Much less come up with the answers. As evil programming they cannot ask "How does a refrigerator work?" And then ask "Why, how does a refrigerator work?" Too much effort for their simple little circuits. But then again, their controllers don't get paid ti be honest with the Public. 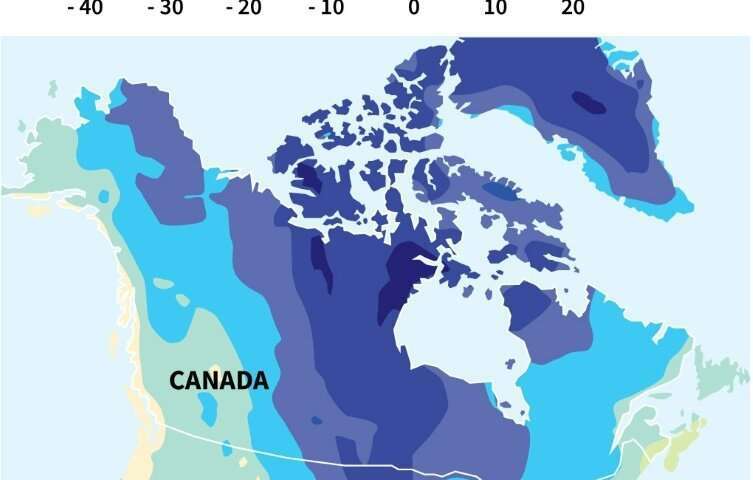 The cold air trapped in the Arctic, called polar vortex, leaks through negative phase of Arctic Oscillation toward low latitudes. Why leaked? It''s due to global warming of the planet. Expect more harsh winters, droughts, floods, rains, snow, storms, in near future. You don't have to go that far. Anchorage Alaska's temperature is currently +1'F.